If you have any autoimmune disease and need life insurance, but have been quoted or qualified for a rate that was higher than you were expecting, we have some really good news for you! As with any other health or underwriting issue, no two cases are identical. There is never one or even ten or twenty insurance companies that are going to make best offer on every case involving an autoimmune disorder. This is why we shop with ALL life insurance companies to find you the absolute best offer. If you’ve been quoted or offered a table 2 rating by anyone or any life insurance company because of your autoimmune disorder, then we can almost always get you a less expensive Standard rate (also called “Regular”) or possibly better. Same thing if you’re offered a table 4 or higher rating, we should almost always be able to get you a better offer. This just requires some investigation and shopping on our end. If you’re not familiar with table ratings and the difference between a standard and a table 2 rate, or a table 2 and a table 4 rate, than what I’m telling you is that we can save you 30%, 50%, 100% or more on your life insurance than what other insurance agents or brokers will offer you. We have direct communication with underwriters at every quality life insurance company in the country. We shop for people with autoimmune and auto inflammatory disorders on a regular basis. There is a 100% certainty that the offers will vary greatly. We never settle for less than the best offer. The cost difference by not finding the best insurance company for you will usually end up costing you thousands of dollars over the life of your policy! Most agents only represent a small number of insurance companies and will try to get you to apply right away, so they may guess which company may make you best offer and try to persuade you to apply right away. Just run a quote request using the quoting tool to the right to see just some of the insurance companies we can offer you. This is more companies than anyone else can offer you, online or off. Because we’ve shopped thousands of cases to hundred’s of different insurance companies, we can assure you that we won’t be able to tell you right away which insurance company and rate may be best for you as we will have to do some research first. All of the big online insurance shops and even agents offline have quotas, so this pressure to sell and meet their quota can cause many to “low-ball” you a rate or to over promise what they can offer since their job is on the line. Is A Quota Preventing You from getting Better Offer? If we had quotas, we’d also have to try to “hard sell” you and get you to apply right away, but we don’t. Our goal is to get you the absolute best rate and value and we are always striving to do just that! While quotas may be good for businesses, they are bad for consumers when it comes to shopping for life insurance. Dealing with an agent that has a quota will never result in you getting the best offer. We are family owned and operated and are like your best local insurance agency except that we can offer you way more insurance companies and you don’t have to come to our office to apply. We have a life insurance solution for almost everyone, including the “uninsurable”! First we’ll need to get some basic health information from you and some details on your autoimmune disorder and what medications you use. Don’t try to make your situation seem better than it really is. Answer questions honestly since all of the competitive insurance companies will most likely order medical records from your doctor if you apply. Once we have your information we can easily send an email to underwriters at hundred’s of companies to get offers. We never provide any of your personal information like name or date of birth when we make these inquiries. This process helps us narrow down which insurance companies may make you best offer, then you can decide to apply or not. Every underwriter does their best to make the offer we were given up front as long as the information we provided to them (and you provided to us) was accurate. After we have all of your medical information, it’s easy for us to “flip you” to any other insurance company. 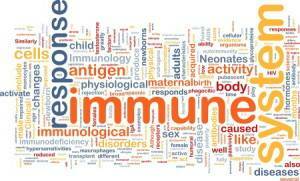 How Do Life Insurance Companies Underwrite Autoimmune Disorders? Let’s take a look at some of the more common autoimmune disorders we’ve dealt with and a range of the rate class for which you may qualify. The information below are generalizations and we always shop every case with hundred’s of insurance companies. Life Insurance with Rheumatoid arthritis: The normal best rate class would be a Standard or Regular rate. If mild with no immunosuppressive medication, no debilitation, overall very good health otherwise and a number of years have past since diagnosis, a regular plus or a preferred rate may be possible, but this is not the norm. If you have RA and have more severe symptoms and/or any debilitation, you will be rated or charged 50%, 100% or more in addition to the Regular rate. Systemic lupus erythematosus: The normal best rate class would be a Standard or Regular rate if greater than 3 years since diagnosis and treatment. We have been able to obtain Regular Plus rates on some good cases and “preferred” rates are always a possibility. It is also common for most life insurance companies to charge an additional premium for Lupus depending on the severity and symptoms. Celiac sprue disease, also called Celiac disease: The normal best rate class would be a Standard Plus or Regular Plus rate if you have no chronic symptoms and no evidence of malabsorption. On good cases with no symptoms or issues and if a number of years have passed since diagnosis we will do our best to fight to get you a preferred rate. Inflammatory bowel diseases like crohn’s disease and ulcerative colitis: The normal best rate class would be a Standard or Regular rate if several years since diagnosis and treatment. Getting a regular plus or preferred rate is possible, but very rare. For recent diagnosis or cases with flare ups within previous 12 months, an additional premium in addition to Regular rates will usually be charged. Type one diabetes or juvenile onset diabetes: While mostly diagnosed in children and young adults, type 1 diabetes can be diagnosed at any age. For any diagnosis under the age of 40, a premium of 50% to 300% in addition to Regular rates is the norm. The younger you are when diagnosed, the higher your cost. Diagnosis over the age of 40 may qualify for Regular or possibly better rates depending on how well your diabetes is controlled and overall health otherwise. Psoriasis and psoriatic arthritis: While mild psoriasis won’t usually have any impact on the life insurance rate for which you qualify, some with psoriasis will develop psoriatic arthritis which can cause some underwriting issues. Mild psoriatic arthritis with no immunosuppressive drug use and with no real symptoms may qualify for a preferred or regular plus rate. If you do use drugs like remicade, humira, cimzia or prednisone, qualifying for regular rates is best case scenario and many insurance companies will also charge an additional premium of 50% or more. Multiple sclerosis: Depends on sub-type, whether it is benign, relapsing/remitting, secondary progressive, primary progressive, chronic progressive or malignant, date of diagnosis, frequency of episodes, date of last episode, your degree or debilitation and symptoms. Rare cases may qualify for a regular rate or a regular with a 50% rating, but many will be rated higher than 50% and some will be uninsurable. Pernicious anemia, vitiligo, scleroderma, Hashimoto’s disease, Addison’s disease, Graves’ disease, Sjögren’s syndrome, Guillain–Barré syndrome and others. While many people with these autoimmune diseases may only qualify for Regular rates at best, you should never assume that you won’t qualify for a better rate class if you have any of these. With over 1,000 companies offering life insurance in the U.S., what is the likelihood that you really got the best offer? Some of the best insurance companies for autoimmune disorders are American General, Banner Life, Columbus Life, Lincoln National and Principal Life. And depending on your exact diagnosis, treatment, symptoms and overall health otherwise. We can offer you life insurance from EVERY competitive life insurance company in the United States. Our experience shopping autoimmune cases and our shopping process will result in best offer for you. Some autoimmune disorders are more serious than others. Some can affect major organs like your kidneys, brain, heart or lungs which then could have a more significant impact on your life expectancy. Many underwriters have told us that they’re more concerned about the drugs prescribed to treat some autoimmune disorders rather than the disease itself. Taking immunosuppressive drugs like Methotrexate, Remicade, Humira, Prednisone, Cyclophosphamide, Azathioprine or Enbrel can automatically cause some insurance companies to “rate” you or charge you an additional premium, whereas other companies may not charge an additional premium. If you have debilitation caused by your autoimmune disorder, this usually adds to the underwriting concern and can increase the best life insurance rate for which you’ll qualify. The most important thing for you to remember is that it does take a little work and investigation on our end to narrow down best rates and insurance companies for you. Over the past 48 years, we’ve learned that exceptions can be made to every “rule” in underwriting. Our goal is always to find you the best exception. Any agent, broker or website that tries to get you to apply right away, the first time you connect with them, should be avoided. They will never get you the best rate and value. If you would like the best life insurance offer possible for your autoimmune disorder, please click the link above to get an accurate quote. You can also call us toll free at 1-800-380-3533 or just click here to email us with questions or if you need more information. We’re ready and able to help you! It Can Take Work To Get Best Life Insurance Rate!